creava means the place where “creation” will be born. We hope art and people encounter here, and art spreads out from here. The bird’s-eye view of creava is below. Click each spot to show the description. We serve healthy and contemporary Thai cuisine using fresh ingredients produced in Ishikawa Prefecture. All of pottery works made by creava and in the ceramics class are fired in this pottery kiln. 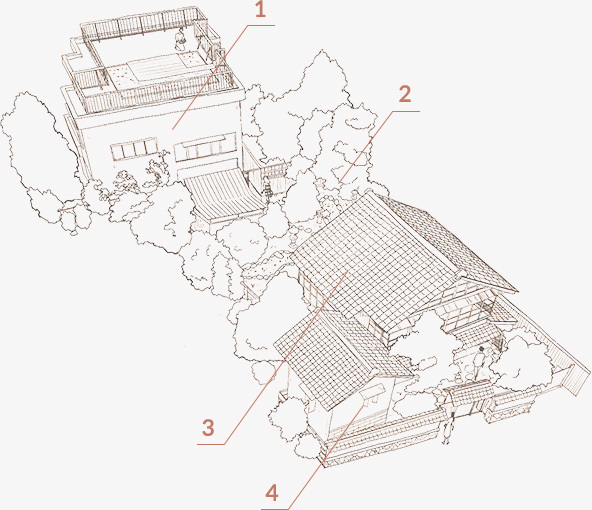 It is the symbolic spot for us aiming to be an art complex uniting food and pottery, and connecting art and people. The traditional dry land scape garden connects the restaurant and gallery. On a table by the window, guests can have our dish and drink with viewing the garden whose appearance changes in day and night. 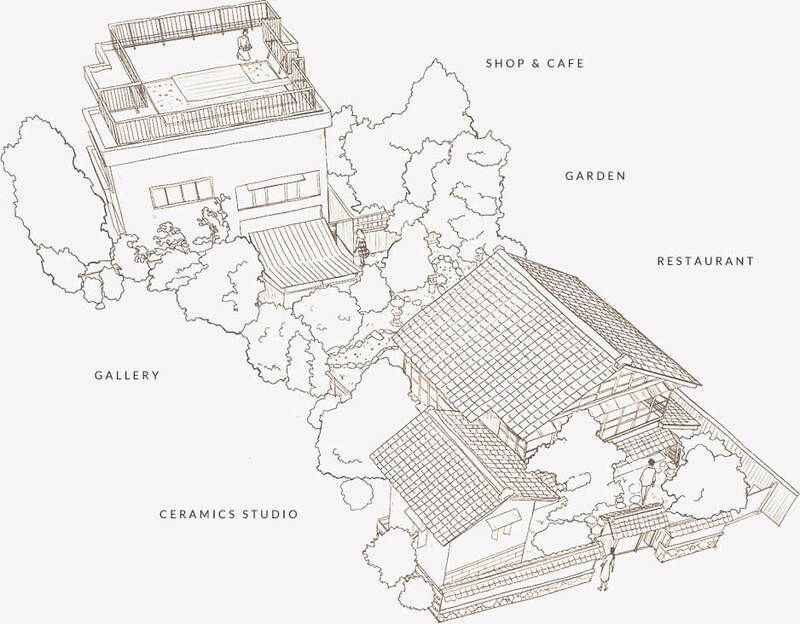 The art gallery whose building used to a Kura (Warehouse) exhibits craft products and art pieces having a refined taste but naturally blending into a daily life. Art works made by local artists are sold here. Stay and rest at cafe next to the shop. 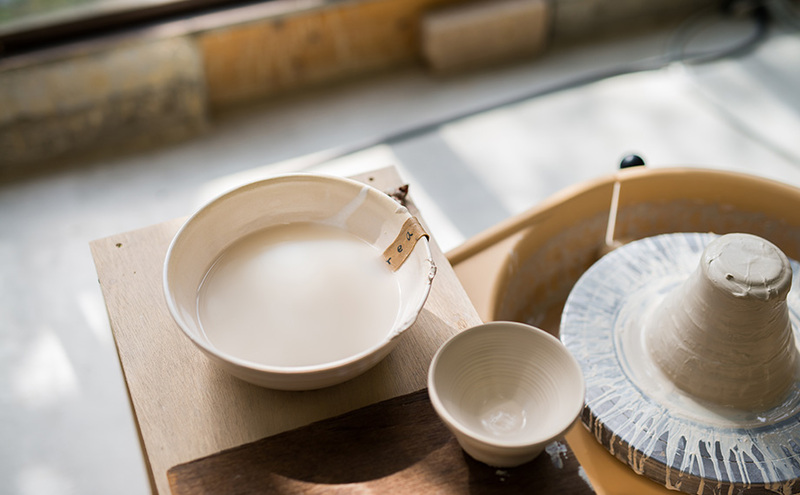 Experience a potter’s wheel, Kutani Gosai, Akae Kinsai, and Sometsuke.They are suitable for gifts and souvenir of Kanazawa. Reservation for the restaurant, ceramics class, and gallery is available. It can be made by telephone or via the Internet (only for the restaurant).